Lionsgate expects ‘INSURGENT’ will make $350 million or more! 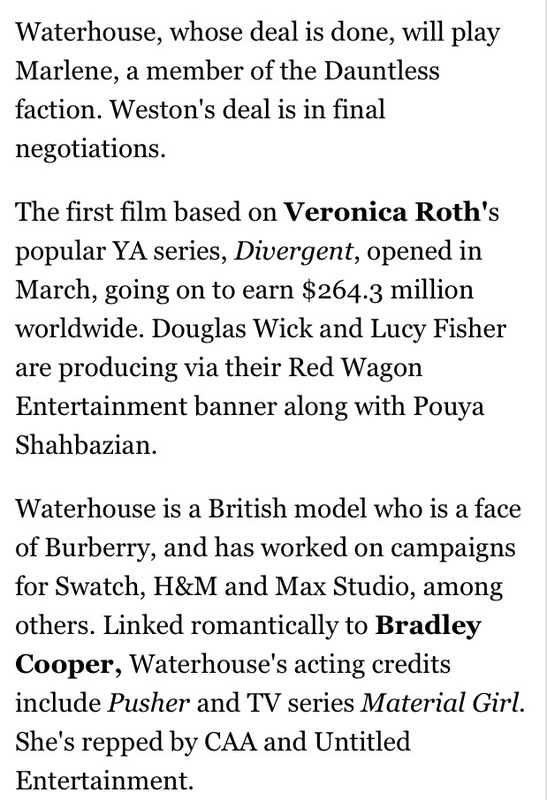 Variety is reporting that Lionsgate expects that Insurgent will make $350 million or more. The film hits theaters on March 20, 2015. Sounding bullish on the outlook for the “Divergent” franchise, Lionsgate CEO Jon Feltheimer said the second film, “Insurgent,” should gross between $350 million to $400 million worldwide. That would represent an increase of $27% to 40% above the estimated final gross of around $275 million expected for “Divergent,” starring Shailene Woodley. 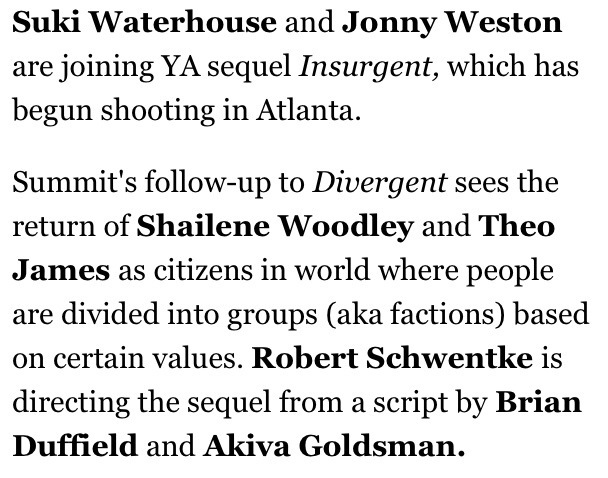 “Insurgent,” which went into production last week, will open March 20 with Lionsgate splitting “Allegiant” — the last book in Veronica Roth’s dystopian trilogy — into two films that will open in 2016 and 2017. Feltheimer said the “Divergent” franchise will be making significant contributions to Lionsgate’s profits into 2018. He noted that Roth’s books have sold 20 million copies worldwide, a pace that he asserted is steeper than the trajectory at this point in the franchise than for the books in Suzanne Collins’ “Hunger Games” trilogy. WATCH: Octavia Spencer in the ‘Get on Up’ trailer! Watch our Johanna, Octavia Spencer, in the Get on Up trailer. In Get on Up, Octavia plays Aunt Honey. Synopsis: A chronicle of James Brown’s rise from extreme poverty to become one of the most influential musicians in history. See Octavia Spencer in Get on up on August 1. Categories: Octavia Spencer | Tags: get on up, octavia spencer | Permalink. 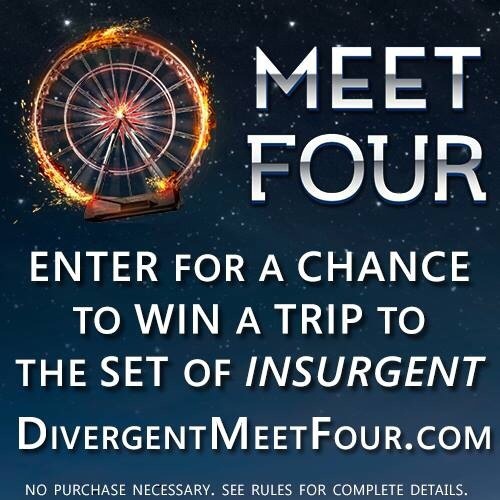 #MeetFour ENTER TO WIN for a chance to win a trip to ‘INSURGENT’ set! Now is your chance to enter to win a trip to the Insurgent set! All you have to do is give your email and birth date. 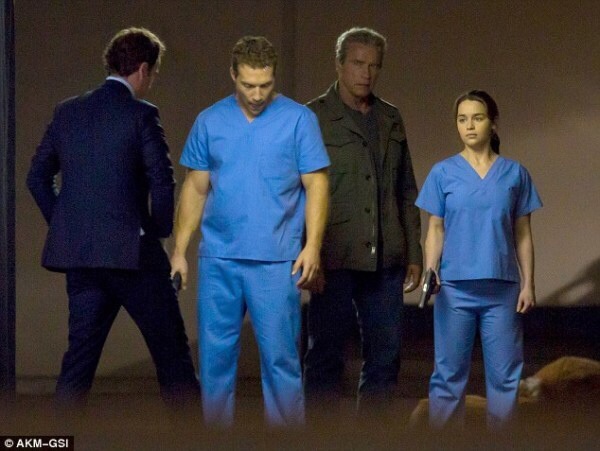 Categories: Insurgent Movie, Insurgent News | Tags: insurgent movie, Insurgent News | Permalink. 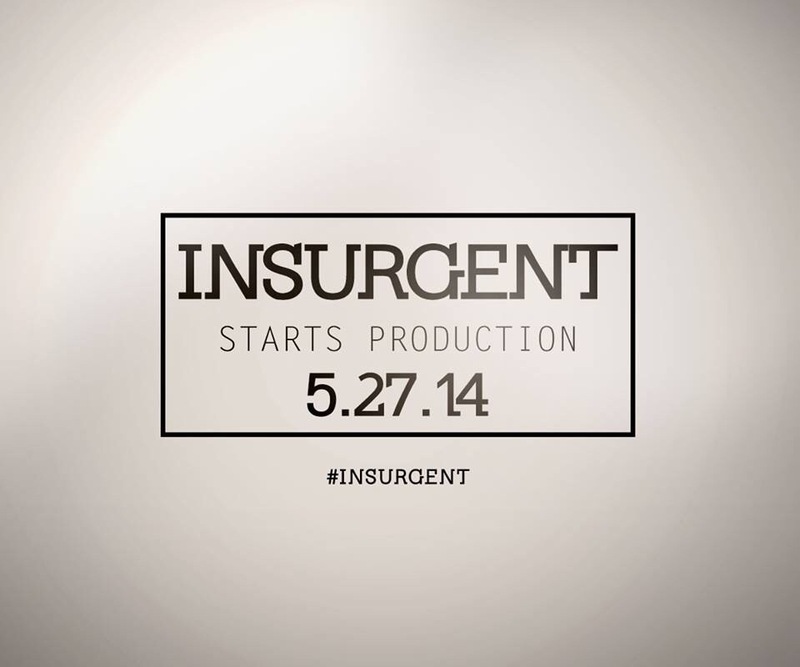 Lionsgate officially announces the start of production on ‘INSURGENT’ today! 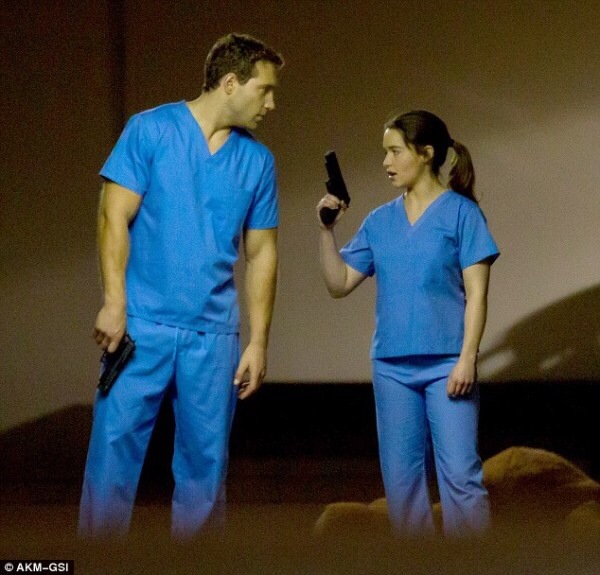 It is a huge day for us today Initiates. Lionsgate has officially announced the start of Insurgent today. They’ve also said that casting announcements are forthcoming. INSURGENT CASTING NEWS: Stephanie L. Schlund joins the cast of ‘INSURGENT’! 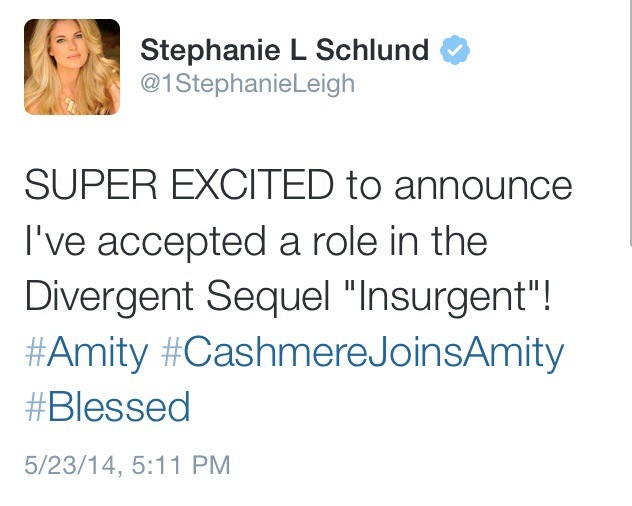 Stephanie L. Schlund has just announced that she has joined the Divergent family. 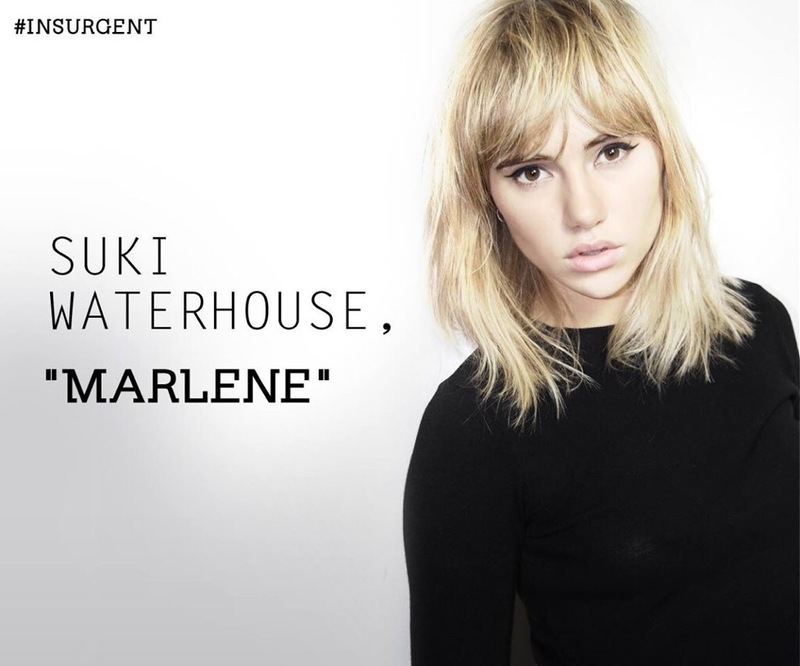 She will be in Insurgent. 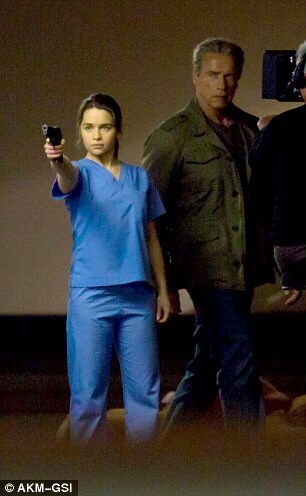 What role will she play? She has not said, she did hashtag Amity. We will find out very soon. If Stephanie looks familiar that is because she played District 1 tribute Cashmere in The Hunger Games: Catching Fire. Once Stephanie’s character is announced we will definitely update. Categories: Insurgent Movie, Insurgent News, Stephanie Schlund | Tags: Stephanie Schlund | Permalink.